This Basic and Advanced Foot care Nurse Certificate program provides registered nurses RN's, nurse practitioners NP's, registered practical nurses RPN's, License Practical Nurse LPN's with the knowledge and skills necessary to function as a Certified Foot care Nurse CFCN in private practice, or within their health care community setting. Course is approved by the Foot care Nurse Certification Board. and includes the Certified Foot care Nurse Competency Exam. 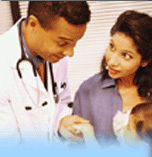 College of Health Studies is an approved education provider through nursing education initiative at RNAO, RPNAO, LPNA. This foot care nurse program is recognized by the Department of Veterans Affairs (DVA), and is recognized by Medavie Blue Cross as a foot care nurse education facility for basic and advanced foot care nurse providers. Which also mean that upon completion of the foot care program the nurse can become a veteran affairs foot care nurse provider, and will be able to get paid for foot care service provided to veterans by Blue Cross Health insurance company. This Basic and Advanced Nursing Foot care training program qualifies for the foot care nurse certification for foot care nurses throughout Canada. This comprehensive Basic & Advanced Diabetic foot care nursing program is taught by registered nurses with extensive knowledge and training in Basic and Advanced Nursing Foot care, Diabetic and Geriatric Foot care. The course follows current best practice guidelines in nursing foot care, Health Canada best practice guidelines in infection control for foot care and evidence based practice in nursing foot care treatment, current nursing foot care standards and competencies, and includes the Foot care Nurse competency examination . Diabetes: a review of type 1 and type 2 of the disease process including prevalence, diagnoses, treatment,management, nutrition, medication. Pathological conditions of the nails and feet. Foot care tools, equipment and supplies used in Foot care treatment including use of dremel, foot files, clippers, nail nippers, foot file with disposable abrasive pad. Foot care techniques including cutting nails with nippers, ingrown scissors, clippers, treating ingrown nail, treating fungal, strapping, packing, padding to prevent ingrown nail, soft, hard or seeded corn removal using corn remover tools. Callous removal using foot file with disposable abrasive pad. CNO infection control standards, Nursing Foot care Standards, Health Canada infection prevention and control standards in providing nursing foot care. Upon completion of the course, you will be able to identify and understand causes, prevention and treatment of common foot and nail disorders. You will be able to assess high risk clients utilizing tools use in high risk clients, understand factors affecting foot health, understand the importance of safety using N95 mask, disposable mono filament, autoclave, understand the role of Doppler in checking for peripheral arterial disease, implementation of sterilization of equipment and tools using Autoclave, single use disposable foot care tools and be aware of foot care practice standards and scope of nursing practice. Practical advice and information on establishing a private foot care business will be provided.. Entrance requirement : a current non- restricted nursing registration license as a registered nurse, license practical nurse, or registered practical nurse with College of Nurses of Ontario - CNO, professional liability insurance from your nursing association, Hepatitis b vaccine, TB Mantoux skin test, Criminal reference check for the vulnerable sector. Online version of this course is open to nurses in Canada, the United States, Europe, Australia, or anywhere in the world who are registered as nurses with your College of Nurses. Course material: Foot care manual and foot care kit is not included. Student will be given the names of foot care suppliers not open to the public, where you will be able to purchase foot care supplies and equipment at wholesale price to perform foot care treatment to clients for your live case studies using the correct foot care tools, equipment and disinfectant that cannot be purchased at regular stores. The college reserves the right to cancel a course if the numbers are not met. In this situation you will be moved to the next course date, or you will be refunded your registration fee. Registration fee is $500 to reserve a spot on the course. If you cancel a course of instruction 3 weeks prior to course start date and the course is a go you will be charged an administration fee of $150. If you cancel 1 week prior to course start date the registration of $500. will be charged. There is no refund of tuition fee after you have paid and started any versions of the foot care nurse certificate course. Course includes inclass theory, in class lab,and hands on clinical practice in the onsite diabetic clinic where students will receive hands on practical experience working with high risk clients. For nurses in Ontario, please note that this course is tax deductible and a tax receipt will be issued upon completion of the course. In addition, for tuition fee paid, this course may qualify you for reimbursement from your associations for up to $1500. under the nursing education initiative. Please contact RNAO or RPNAO for application form for funding grant up to $1500./year. Course duration 90 hours including theory, in class lab/clinical and completion of 20 case studies. Each case studies will take approximately 2 hours 30 minutes including nursing assessment and foot care treatment. Therefore total course hours = 40 hours theory and approximately 50 hours to complete the 20 practical case studies. Please do not cut your toe nails for 1 month prior to course starting. Upon completion of theory, passing final in class exam, demonstrate proficiency of skills in class lab, clinical setting, and completion of 20 case studies that you will find on your own, the student will be awarded the Basic and Advanced Nursing Foot care certificate with pin, Certified foot care nurse CFCN 1 year membership with Foot care Nurse Certification Board. This course qualify for the Foot care Nurse Certification as a certified foot care nurse CFCN. Students upon completion of the course, and passing the Foot care Nurse Competencies exam will be issued the Basic and Advanced Nursing Foot care Certificate, and pin, and will be able to use the title of Certified Foot care Nurse - CFCN. Hybrid version - Flexible Start date. The next Basic and Advanced foot care nurse certificate course means flexible independent learning and coming in to the school at week 3 at a time that meets your schedule to learn how to perform the foot care nurse assessment, techniques, treatment, sterilization procedure and learning how to use the foot care nurse tools and supplies. You will be expected to become familiar with the text and obtain your tools prior to coming in to the school. After learn the techniques, sterilization and use of tools, the foot care nurse will be expected to complete 20 hands on case studies that they will find on their own. This course must be completed in the 10 weeks duration to meet certification. "To qualify and meet Foot care nurse certification standards, students completing all versions of the basic and advanced foot care nurse program must complete 20 practical hands on foot care treatment that you will find on your own ". To register in the next inclass course or Online Nursing Foot care course please fill out form below and submit application. We will contact you upon receipt of your application. Reserve your place now, as classes are small and courses fills up early. Click here if you are already a foot care nurse practicing and are interested in becoming certified as a foot care nurse, or if you have completed a Basic and Advanced Nursing Foot care course and wish to be considered for Foot care Nurse Certification as a Certified Foot care Nurse CFCN. Please submit form below. 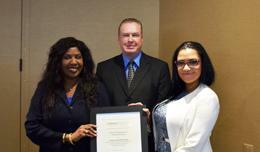 College of Health Studies is please to receive the prestigious Registered Nurses Association of Ontario - RNAO Promotion in a Nursing Program award. To reserve your place or to register in the next Basic and Advanced Foot care Nurse Certification course, please fill out the contact us form below and submit. Upon receipt we will contact you. If you do not hear from us with in a 24 hour period, please call us at the phone number below. What is a foot care nurse and the the role of the foot care nurse. Please download PDF below to read the article written by ROMY BURGESS BURFITT for the RNAO Diabetes Nurses Interest Group. Statement of Understanding for Registered Nurses - RN's only by CNA or Canadian Nursing Association regarding Foot care Nurse Certification upon completion of this course. Canadian Nursing Association - CNA statement of understanding regarding Continuous Learning (CL) and the Registered Nurse. Canadian Nurses Association (CNA), nurses may claim it as a continuous learning (CL) activity toward renewal of the CNA certification credential if it is related to their nursing specialty. Pre-authorization from the CNA Certification Program is not required. Participants are encouraged to retain a confirmation of attendance. Reina, R - RN wrote: I took this course as additional skills and knowledge, and to seal my practice as a diabetic educator and foot care nurse. I just recently finished the Diabetic educator course and I am planning to write the exam May 2014. This course Advanced nursing foot care will prepare me when it comes to Diabetic foot care knowledge and how too educate my clients on the importance of AIC counts, checking for PVD in preventing complications such as amputations, and maintaining proper foot care hygiene. "Very nice experience, learned a lot about footcare for diabetic clients and the elderly clients. I now feel very comfortable perfoming diabetic footcare. Romy was very knowlegeable in her teaching of the program. The instruction was clear in teaching the high risk assement using all the footcare tools including the monofilament". Helen .W. RN wrote. After finishing nursing school, I recently got hired as a RN at a long term care facility. 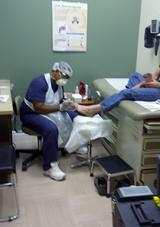 I had to provide diabetic footcare and nail care for my clients. I identify that my nursing training did not prepare me to performed proper foot care for clients with diabetes and the elderly. I was very happy that I found College of Health Studies Basic and Advanced nursing foot care program. I was empowered by the knowledge and hand on practice skills that I received especially at the diabetic clinic practical. I am now ready to use the skills that I was thought in the basic and advanced nursing footcare program at College of Health. I am excited to share my new knowledge with my colleagues at my workplace. Romy you are empowering and you are making a difference to nurses and the lives that nurses touch. Certified Foot care Nurses performing Foot care treatment for Toronto Homeless at the Toronto Homeless Connect event at Massey Hall. November 2014.